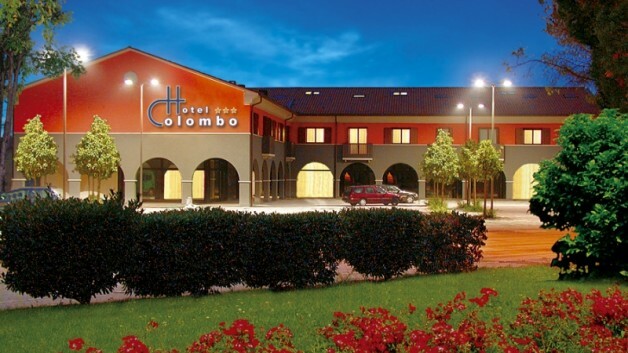 The very recently built Hotel Colombo, situated in San Bartolomeo in Breda di Piave (just a few kilometres from Treviso and Venice) is perfect for business travellers and tourists. Just 15 minutes from the motorway exits (the A27 Treviso Nord (North Treviso) the A27 Treviso Sud (South Treviso) and the A4 Noventa di Piave) and less than half an hour from Venice and Treviso airports, it is the ideal place for business travel, professional meetings and relaxing breaks. Thanks to its favourable location, Hotel Colombo offers the peace of the Veneto countryside within easy reach of the area’s main cities and tourist destinations. This family-run hotel ensures its guests direct, attentive service that aims to satisfy the wide range of its clientele’s needs. a range of comforts. They are simply and elegantly furnished and have been designed and built with great attention to even the smallest details. The elegant, welcoming ground floor bar and restaurant are perfect spaces for a chat between friends or a business conversation. 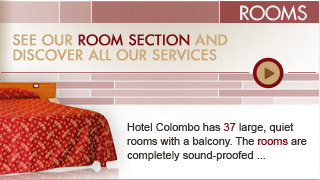 For business meetings, conferences, congresses and training courses, Hotel Colombo also has a spacious meeting room that can seat up to fifty people. A large car park in the small square in front of the hotel is also available for guests. 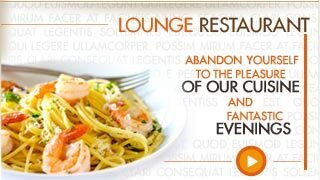 All this, together with the professionalism and courtesy of the Soncin family, guarantees our guests a stay that is so pleasant, it even makes business relaxing.